Sydney-based software-as-a-service (SaaS) firm TIQK has announced that its “best interests duty” analysis for statements of advice has gone live. 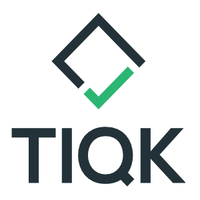 TIQK CEO Steve Thomson said this marked the industry’s first automated test for a best interest duty in statements of advice released commercially and believed it would give advisers and consumers more confidence in light of the revelations from the Hayne Royal Commission. “This will ultimately allow licensees and advisers to identify deficiencies and action changes. Ultimately, consumers will be able to feel safe in the knowledge that their financial advice is being provided in their best interest,” Thomson said. Stage I of TIQK’s best interest duty feature analyses a statement of advice for evidence that the adviser has sufficiently acted in the client’s best interest. Where the adviser has failed to provide evidence, TIQK identifies a risk of not meeting the best interest duty.